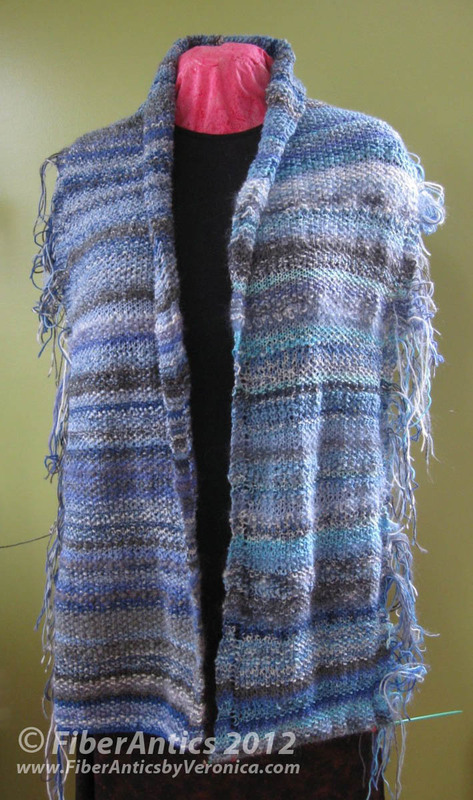 Sky Scarf through September 2012. With three-quarters of the year gone, this is the progress of my 2012 Sky Scarf project. It's really looking more like a "garment" than a scarf. My plans for the Sky Scarf project are to continue knitting two rows per day—based on the color(s) of the sky—for the full 365 days. As one of my Facebook friends said, "it's not just a scarf anymore, it's an adventure." 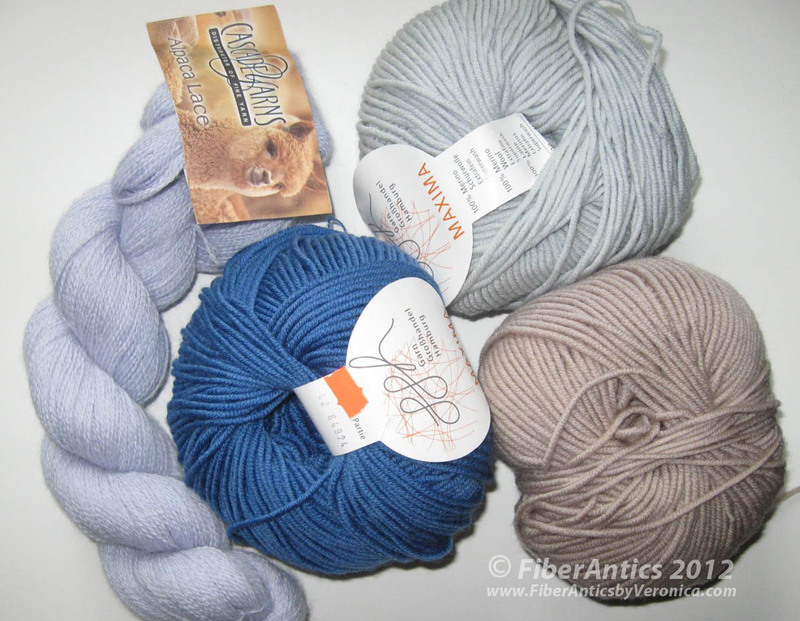 Yarn finds from Yarn Expressions in Huntsville, Alabama.